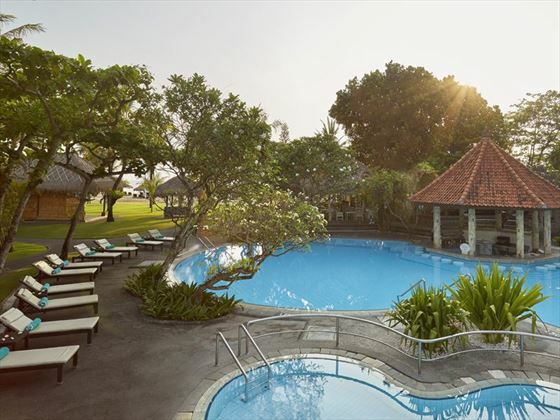 Meliá Benoa is an intimate and elegant all-inclusive seaside retreat located in Tanjung Benoa in Nusa Dua, Bali’s newest resort area. 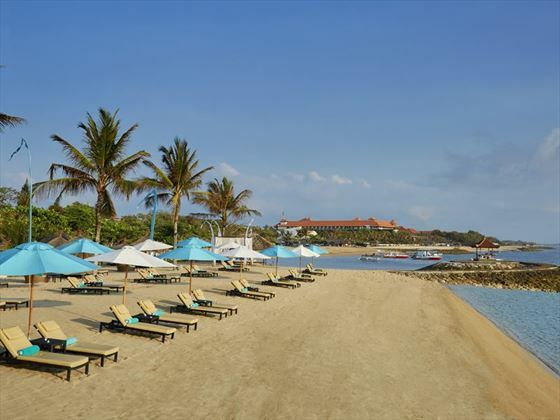 Already famous for its clean beaches and wide variety of water sports, Tanjung Benoa’s strategic location makes it the perfect choice for any holiday. 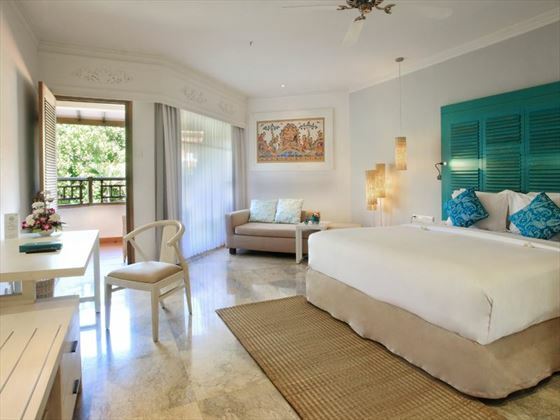 The rooms and suites here are clearly inspired by their beachside surroundings. With white walls, pale furnishings and hints of aqua blue, they all adopt a design that fuses Mediterranean and Balinese styles together. 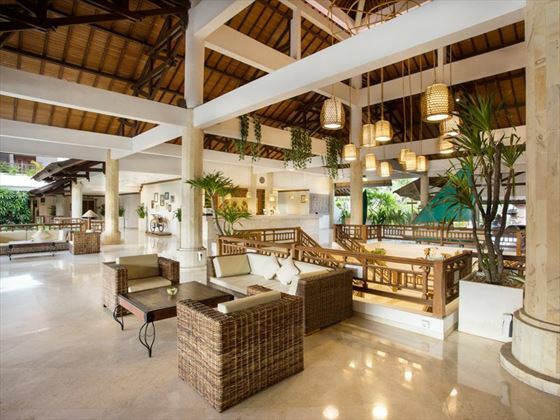 All boasting a scenic balcony, they're a breezy spot to relax and enjoy island living. 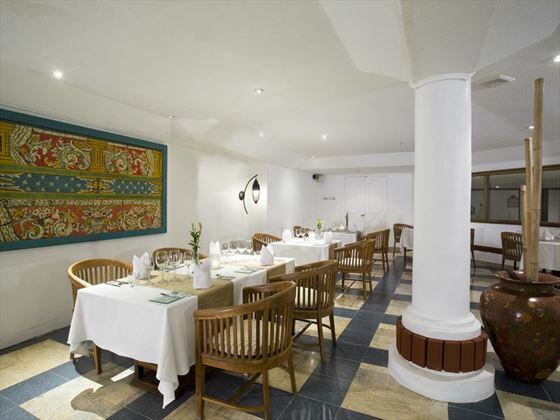 The restaurants are fantastic too, all offering delicious, fresh home-cooked cuisine, whether you decide to visit Amarta Restaurant for sumptuous Italian favourites, or The Menega Restaurant to dine on succulent seafood right by the beach. 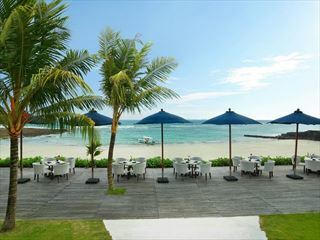 Located in Tanjung Benoa, this fabulous resort boasts a divine beachfront location. Near a traditional fishing village and art market, there's plenty to explore nearby, too. 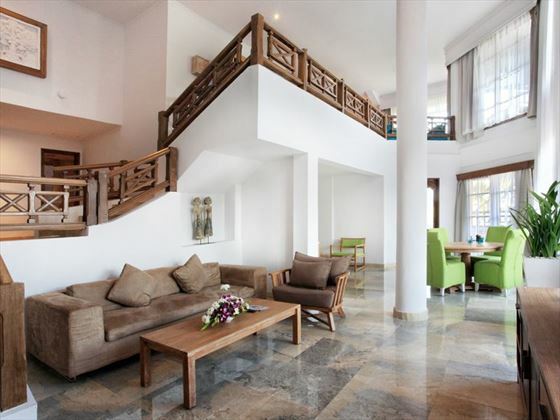 These bright, modern and elegant rooms combine minimalist design with modern art and rustic Balinese décor. 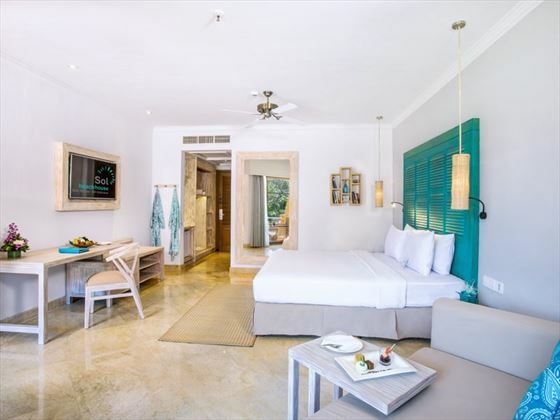 Spanning over 50 square metres of serene living space, these rooms are also appointed with luxurious amenities and plush furnishings to ensure a comfortable stay. If you’re looking for bigger living spaces, personalised service and VIP treatment, these sumptuous 70sqm suites are a perfect choice. 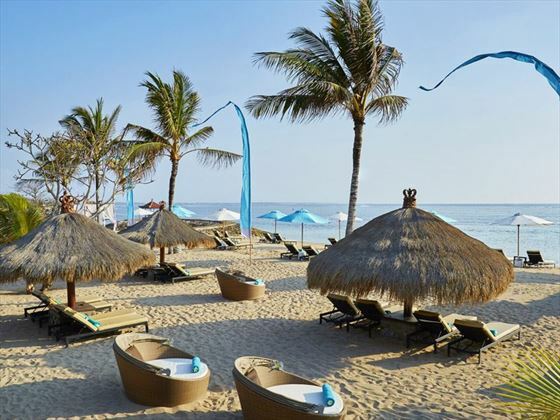 Blending subtle cultural touches with modern conveniences and luxury amenities, this is the ideal accommodation for honeymooners and romantic getaways. 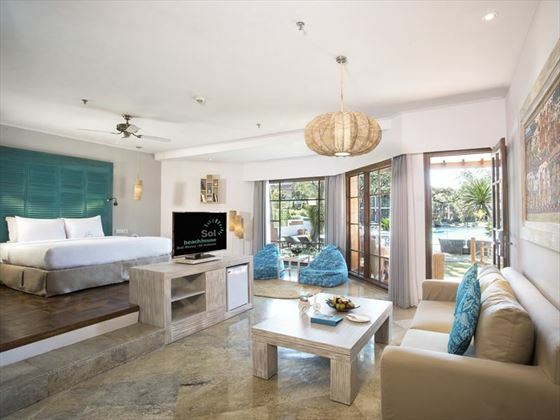 These expansive 253 square-metre duplex suites are appointed with opulent, modern Balinese interiors and offer a wonderfully serene location at the end of the hotel buildings, just steps away from the beach. 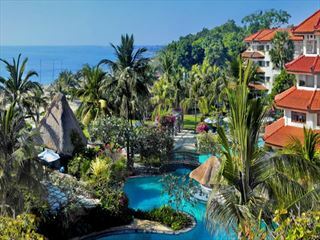 From the upper floors, guests may enjoy vistas of the sparkling Indian Ocean, and from the lower floors, you’ll luxuriate in utter privacy with luscious garden views. 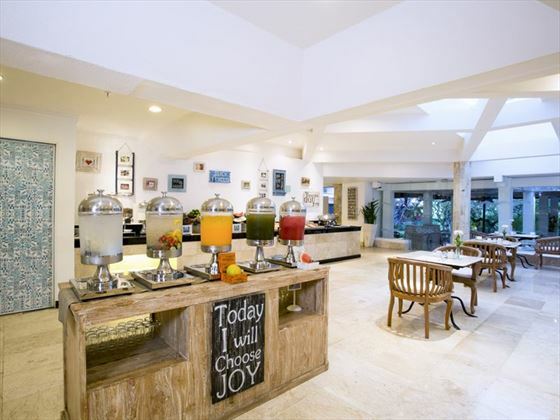 Nestled between the garden and beach, this laid-back, open plan eatery offers a relaxed tropical setting to accompany delicious lunches and themed dinner buffets. 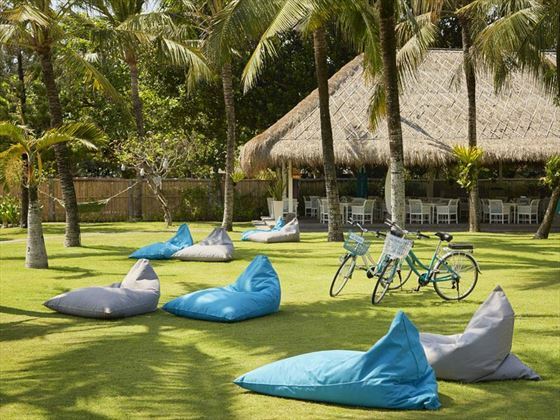 Bringing the best of Italy to Bali, Amarta features a divine selection of antipasti, pasta, pizza and risotto for those looking for something beyond local flavour. This modern and ambient 24-hour coffee shop serves international cuisine with American, Spanish, Indonesian and Western flavours. In the morning, enjoy a classic American-style buffet breakfast, and for lunch and dinner, choose from a delightful selection of a la carte specialities in a casual, upbeat ambience. Located near the hotel reception desk, Ayodya is a great spot to relax with free Wi-Fi connection and lots of comfortable seating. 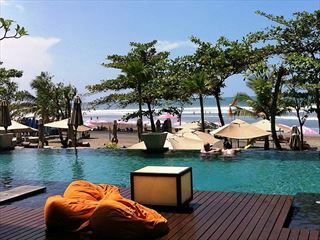 Set in the beautiful pool, this swim-up bar serves icy refreshments for you to enjoy in the warm Balinese sunshine. 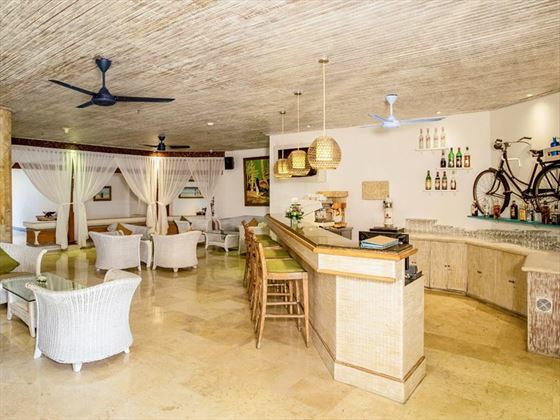 The bar also features a relaxed and comfortable dry seating area on the other side of the pool for those who’d prefer to stay out of the water. Available 24 hours a day, you may enjoy breakfast, lunch, dinner, snacks and beverages in the comfort and privacy of your suite whenever you wish.